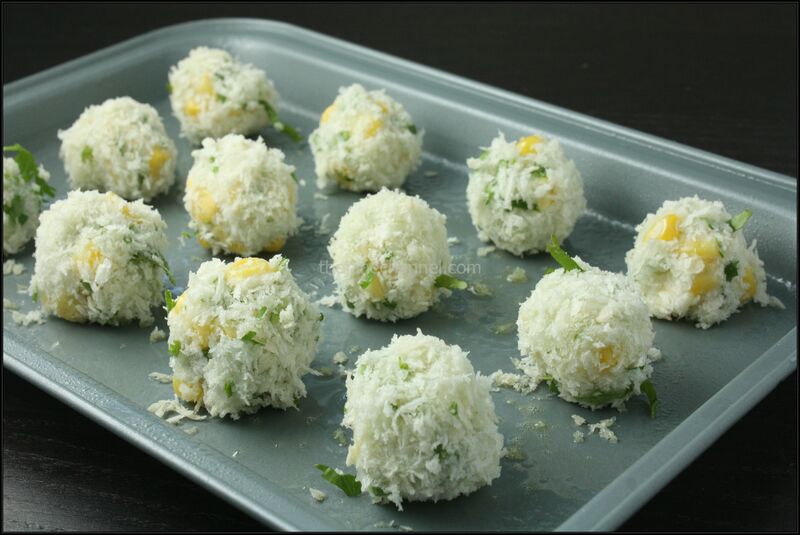 While I was thinking of a way to use a leftover potato I have in the fridge, I came up with this idea to make them into crispy, bite-sized balls. The idea originates from from some of the other potatoes dishes that I’ve made in the past, like seaweed potato pancakes. This is probably a good way to use leftover mashed potato as well. I love how they are crispy without frying, and how they look cute like roasted marshmallows. 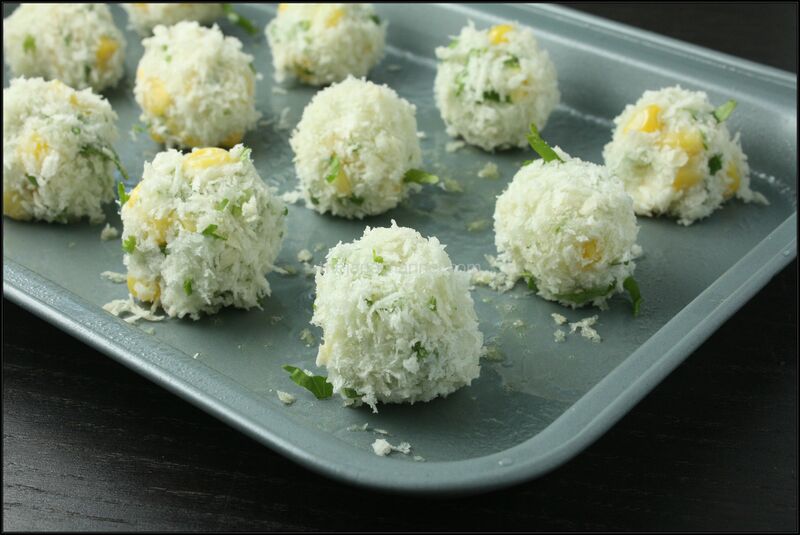 In this recipe, I used corn and cilantro as the filling, but you can easily use any number of ingredients. I am certain that things like cheese, onions, ham, bacon bits would go great with this and I will for sure try them out when I make these next time! Place potatoes in a saucepan and cover with water. Cover and bring to a boil; cook for 20 to 25 minute or until very tender. 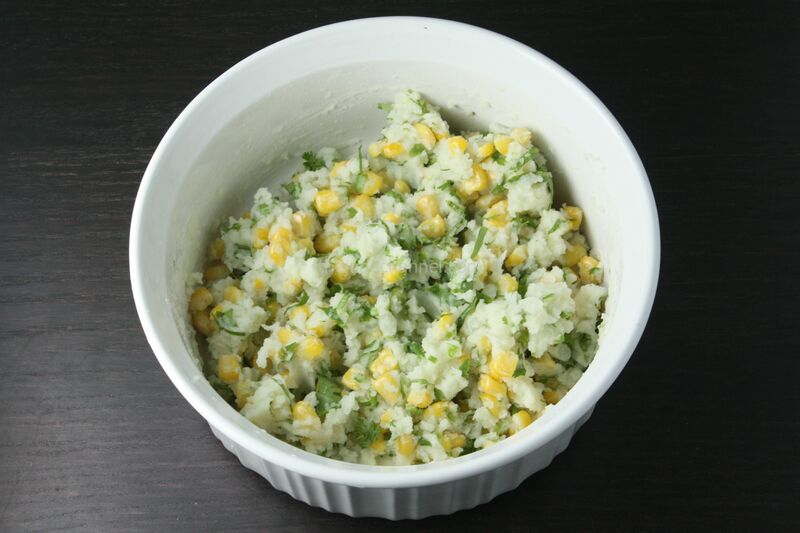 Mash the potatoes and mix with corn, cilantro, corn starch and salt. Shape mixture into balls. 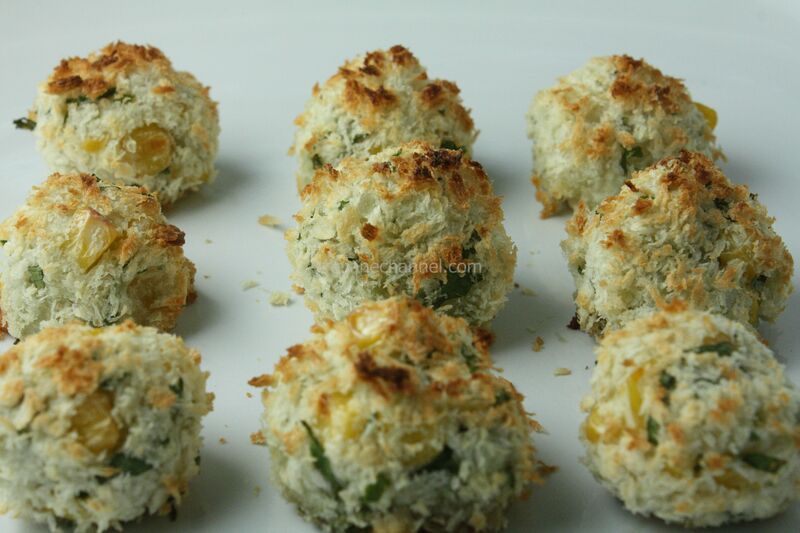 Dip each one in bread crumbs then transfer to a lightly greased baking pan or cooking sheet and bake until golden brown. (about 15 minutes). If they don’t turn brown after 15 minutes. Broil for 1-2 minutes. Thanks Jane for another wonderful recipe. 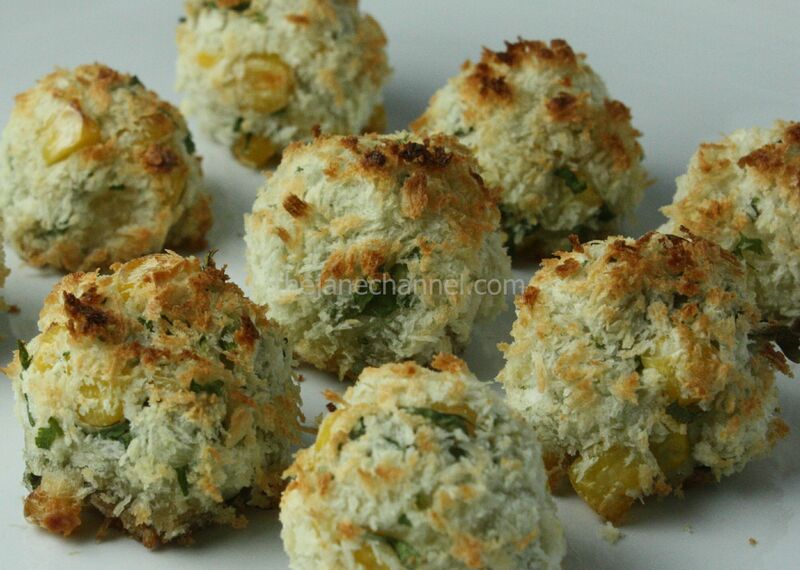 I tried it the other night and came out great!…..It’s so simple and easy yet delicious. Keep up the good job!…..